Shipyards - Desco Manufacturing Co., Inc. Corrosion Removal clean prior to welding or coating. Pre-Construction Primer Removal required for pre-weld preparation. Weld Preparation clean and remove surface contamination. Weld Grinding removes weld scars left from temporary construction welds. Coating Removal - cleans and removes failed coatings. Rust/Scale Removal - cleans and removes heavily oxidized scale from steel plate. SSPC SP-11 - meets or exceeds specification for power tool cleaning to bare metal. 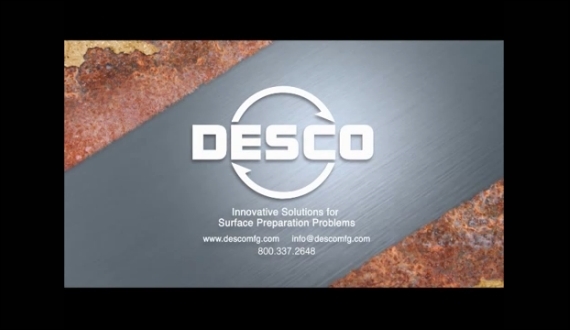 Mill Scale Removal - cleans two sides of steel plate in one pass.